January 9th, 16th, 23rd, 30th @ 7pm. Traditional silver processes still hold powerful appeal for many photographers. Film invites us into a creative world rich with alchemical magic while being rooted in historical and mythological meaning. More importantly, shooting film is the perfect way to fully grasp the fundamentals of photography in an enjoyable and creative way. This is the perfect class to help you build a solid foundation for further work in either film or digital photography. No prior photography experience needed. 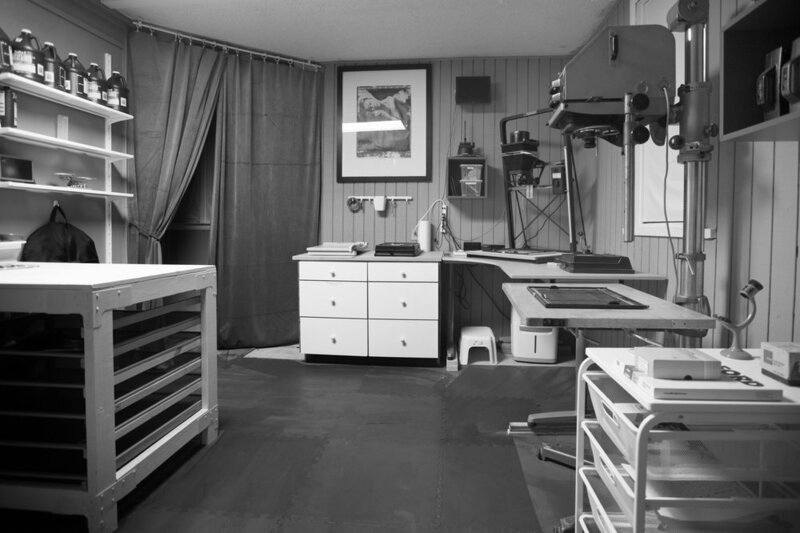 We will be shooting film (35mm and 120 film cameras are available for loan), processing film, and making simple traditional silver prints in the darkroom. We will also be exploring ways to turn film negatives into digital negatives to create large format inkjet prints. The workshop is very hands-on, and is limited to 4 students.